The latest trend in coffee has more to do with an intention than a technique. Thanks to a variety of high-tech gadgets and an ever increasing body of know-how, coffee fans can make a quality cup of brew at home for a lower cost than ever. But despite the availability of these technologically advanced brewing options, many people are choosing low-tech techniques like soft brewing and slow brewing, and the pros in both independent cafes and big business chains are following suit. The slow brew trend towards a greater appreciation for high-quality coffee and innovative, low-tech brewing methods started with third-wave coffee roasters and retailers in cities with a strong coffee culture like Chicago and Portland, Oregon, who focused on high-quality beans, expertly made coffee, and took greater care in the brewing process. Now the trend has moved from specialty cafes in big cities to chain stores and into the home. The move of these manual brewing options into the home began in North America when major retailers like Williams Sonoma started selling pour-over brewers in the early part of this decade; this fall Starbucks began selling specialty kettles designed to slowly steep coffee alongside its other manual brew options like pour-over brewers and French press. Despite the initial popularity of convenient single-pod brewing systems, just a few years later, sales for single-pod systems are down considerably and the sales for cold-brew coffee — also brewed in a slow and low-tech way — have exploded. Now coffee classified as "gourmet" has shot past having the majority of the market share, with Roast Magazine reporting that 59 per cent of cups consumed in the past day were gourmet as of this year. For some people, the advantages of slow brewing boil down to flavour. Many coffee fans believe these methods produce a better-tasting, less bitter coffee, according to a survey of coffee trends from Euromonitor International. But the appeal could tie into a wider lifestyle trend. The interest in low-tech coffee brewing methods as part of a wider movement towards a "slower" way of doing things, says Anna Brones, a writer whose book, Fika, focused on the coffee culture of Sweden. "With coffee, like with many things in our modern-day lives, we've reached a certain saturation point," she says. "I think we have all come to realize that technology and innovation have brought a lot of great things — understanding of the chemistry behind what makes a good cup of coffee, for example — but that at the same time, we shouldn't throw out more simplified ways of doing things either." And as with traditional tea ceremonies, or baking bread, the ritual is part of the point for coffee drinkers, so it makes sense that expanding that ritual holds some appeal. That feeling is not unfamiliar to coffee fans, Brones says. "If you talk to a lot of people who love coffee, they will tell you that they not only love the drink, but they like the ritual that comes with it," she says. "Brewing a pour over is an entirely different experience than pushing a button. You're more connected to the whole process." That ritual is also part of the appeal behind fika: the Swedish tradition of coffee breaks that involve small snacks and socialization with friends. But translating these traditions to North America isn't always a smooth process, Brones says. Culture here is more frantic or hurried than in Scandinavia, she says, and that plays out in ways both big and small — for example, in how we consume our coffee. "Just the other day I was at a Swedish friend's house for fika, and she said to me 'I still don't think Americans 'get' fika…,' Brones says. "We talked about how in North America we have a tendency to always want to be "doing" something, to be 'busy.' 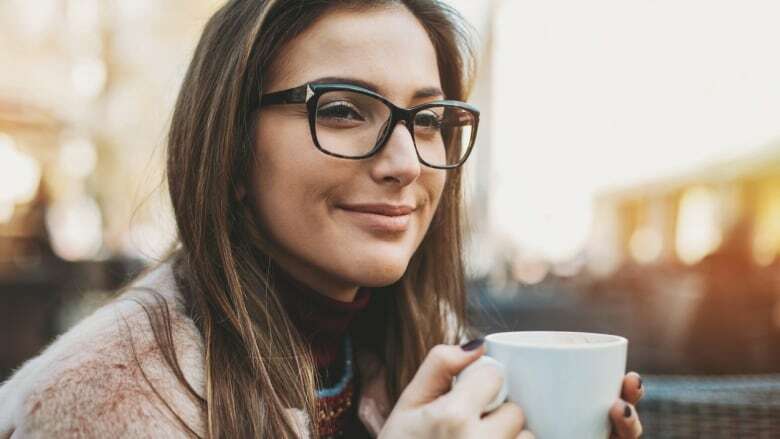 Even a break is supposed to be productive here, she says — a coffee break should include a specific topic of discussion, or work on a project. "We are bad about just sitting and being," Brones says. Like the Chemex and Aeropress before it, the current popularity of the SoftBrew brewer, where the coffee sits and brews much as in a pot for loose-leaf tea, may soon be replaced by the next, best coffee brewing thing. But the sentiment of that style of brewing, and the popularity of introducing a bit of slowness into coffee, seems likely to stick around. "You don't need a bunch of fancy gadgets in your kitchen to make great food," Brones says. "You need simple, whole ingredients, and maybe a few friends to invite over to join you. I think that's the takeaway from slow food and slow coffee, it's about an appreciation of what you're consuming, but it's also about sharing it with others, taking time to be off our phones and be in the moment."